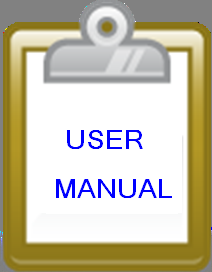 Writing user manuals is one of the toughest tasks in the field of technical communication. We all know technical writing is writing about complex technical information in a simple, clear and concise manner, which the targeted audiences can understand. Writing a good user manual requires a good knowledge in the field of technical communication. Following are some of the key points that a technical writer should follow before writing any user manual. One of the most important phases in documenting user manual is to understand the knowledge level of audiences. Depending on audiences knowledge levels, level of information put in the manual varies. If your audience is a computer technician, then it will be appropriate to add some technical words such as database, Control system, circuit, digital systems, and so on. If your audience is a layman who has less or no knowledge of technology, they might not be interested in how software of service works. They just want to know how to fix the things. In most of the cases, you want to know your audiences for a simple reason of giving the appropriate information. Once you are familiar with your audiences, you must ensure that you are adding appropriate information in the manual. Before jumping into documenting manual, make an outline so that you have a fair amount of idea when and where to place the information. Make sure you do not overload the reader with too many details. User manuals should contain brief information about each and every topic. Manuals should not be cluttered with words that confuse the readers. Every user manual should convey information in a crisp, clear and concise manner. Try to avoid technical words, unless it is required. Readers often gets confused and overloaded with words that they are unfamiliar. User manual must be written in such a way, the reader should be able to get the required information easily. One of the best methods of being conversational is by including FAQ section. This section helps users to get answers to the most common questions that come in their minds. Section TOC (Table of Content) is one of the key elements in user manual. Most of the user manuals are included with TOC to show the organization of the manuals. Inclusion of glossary section will improve the overall accessibility of the manual. Include images and screenshots wherever necessary. We all know that a single image can speak 1000 words. Using examples while explaining technical information makes explaining easier and reduces inclusion of redundant contents. Perhaps you’re feeling stuck in your job! Are you feeling as though you need a boost! Something that could help you to advance, become more professional and more marketable or may be something that would powerfully propel ahead in your career. The answer just might be earning a certification in the field of technical writing. Technical writing Certification programs have proliferated extremely in the past several years. No matter what field you are in, there’s always a chance to gain certification for it. The main question is can technical certification really help boost your career, or they just a way of the issuing intuitions to stuff their coffers with the cash. Most organizations fail to provide certification which were more likely to boost their career or gain employment, or earn higher salaries that those who are not certified. What is the reputation of the issuing organization? Do the certification benefits me? Justify the cost? Ask students who have already received certification from the institution. Black & White Tech Writing Solution P. Ltd is one of the best and most reputed institutes which offer best technical writing training. Those who take up training course from Black & White will learn from veteran trainers who are backed with vast technical writing experiences. On top of all the fundamental knowledge necessary for all type of technical writing, this course included with many soft skills training which is guaranteed to boost your career. A technical manual provides most valuable information on a product, service or company’s operating procedure including instruction on how to use, handle, and repair a system. The process of producing a technical manual is a team effort. In most of the cases, a technical writer is given only 10% priority of the whole project. Other priority includes designers, developers, testers, and editors. The whole project picture is usually seen by the project managers. Whether a technical communicator is assigned to do a user manual or technical manual or maintenance manual or any other technical document, he or she should know the process involved. One of the first steps to document a technical document is to meet with company employee who is capable of providing relevant information on the product or service. These individuals can provide information that can be included in the technical document, which vary from one organization to another. Varying information includes organizational flow charts, history, equipment, process steps, terminology, additional resources and abbreviations. Illustrations such as charts, graphs, screen shots plays a very important role in comprehending a process and will likely enhances the popularity of the manual. Before starting-up with any documentation, it is essential to determine the table of contents. Dividing the manual into subject or topics can help the end users; this enhances the readability of the document. Once the basic flow of the manual is determined, break each category into sub-categories. For example, operation manual should include section on basic operations and also advanced operation procedures. Writers must compile the manual in such a way that the section flows in a natural order. Like other profession, technical writing requires knowledge of certain skills. Skill sets primarily involves writing and illustrations. The world of technology and technical communication has evolved dramatically. Following are some of the basic skill sets that a technical communicator should encompass. For a technical communicator, writing skills can never be overlooked. A technical communicator should write in a simple, clear and concise language. Write up should convey information for a variety of audiences. Technical skills of technical communicators depend on the subject matter. Hardware and software documentation requires different skill sets that a technical communicator needs to bring on to his desk. Usually technical communicators have a technical background. A technical communicator asked to document developer’s guide may need to have a fair bit of knowledge on the platform. When a writer is tasked with advanced weapon system, they might need an advanced degree of engineering as well as solid knowledge of government documentation standards. A technical communicator should possess basic technical knowledge used in a technical process, product or a service which needs to be documented. A technical communicator must know various software tools used in technical writing. Since they have to develop document in various forms such as Word, PDF, CHM, and HTML. Writers must know specific tools, like Adobe FrameMaker, RoboHelp, Snag-It, MS word, Adobe Acrobat X pro, Author-It. Depending on the product and client requirements, technical communicators must be able to deliver various forms of documents. Technical communicators should never underestimate the usage of graphics. Writers should be able to convey their ideas in a document with the help of some basic graphics. Being a communicator we should know that 90% of our brain captures information which is graphically depicted. A technical communicator should actively participate in testing the product, service or process. It’s a sole duty of writers to correct the spelling mistakes in the product. The above mentioned skills are the basic skills that a technical communicator should posses. Skills may vary depending on the educational background of the writer and his field of experience. Engineers are highly technical people who essentially don’t mean they are good technical writers. Engineers should understand that they are documenting their ideas and not to impress. This is the main key for successful documentation. In this article we shall discuss some important points that an engineer should follow before documenting any product or service. One of the main Keys for successful documentation is “keep it simple”. Relaxed writing style can add clarity and vigour to your documents. Know Your Audiences: Before documenting any product or service you must know the knowledge level of your audiences (end-users). Your document should serve the purpose. Assume the document is intended for lay people and you have written the document for engineers, then the document is of no use. You have to re-write the entire document. Be Concise: Technical personals are busy people, so your document should be crisp clear and concise. Avoid usage of redundant words. Avoid usage of wordiness in which a modifier repeats an idea which is already conveyed. Be Consistent: Inconsistency in the document may confuse your readers, and convince them written document is disorganized. Good technical writers strive for consistency in the use of grammar, technical terms, symbols and abbreviations. Avoid Big Words: Sometimes Writers prefer to use big words instead of short words. Use simple and straight forward English, your readers will love you for it. Some of the big words used are terminated, optimum, and incombustible and so on; these words can be replaced by the end, best and fireproof. Use Visuals: We all know that a single image represents 1000 words, so drawing, graphics screen-shots can re-enforce your text. Visual representation can make your document more attractive and more effective. We remember 12% of what we read, but 35% of what we see. Different types of visuals that can be used in the documentation are photographs, schematic diagrams, tables, graphs, charts (Pie, bar, graphs), and maps. Use Active voice: In active voice, action is expressed directly. In passive voice, the action is indirect. Statements written in active voice are simple, easy to understand, and concise. When possible, use active voice. Your document should be vigorous and straight. Prefer Specific Over General: Technical end-users are interested to read detailed specific technical information such as facts, recommendations, figures, and conclusions. Be specific whenever possible; contents should not say something is good, bad, fast or slow, but instead it can say how good, how bad, how fast and how slow. Breakup Writing into Short Sentences: Long, unbroken blocks of contents intimidate and bore readers. Break your content into smaller chunks–makes it easier to read and understand. In the same way shorter sentences are easier to grasp than longer ones. I hope the above tips help engineers to improve their technical writing skills. Black And white tech writing solutions in Rajaji Nagar, Bangalore – Training Institute at Yet5.com. Why do we need technical writers to write technical documentation? Technical writing is currently a booming industry in India. A professional technical writer is the one who handles technical writing in an organization. Knowledge on industry writing standards and also about the tools that are used to create a more appealing document is necessary for a technical writer. Here in Black & White Tech Writing Solutions we have a team of talented technical writers who possess the knowledge and talent in creating technical document of international standards. We help organizations to provide better user adoption and cut down cost on maintaining a technical support forum. Technical writing is a process of creating documents on complex technical concepts and instructions in simple steps, so that users can perform intended tasks in a specific way with ease. The process of writing a technical document involves translating technical information into documents that are both precise and concise. There are different types of technical documentations that include release notes, product installation guides, walk through demos; whitepapers and case studies. The most commonly known technical documents are the user guides and product manuals. Users of any hardware or software products would be aware of these documents. A technical writer is a professional who possess technical knowledge with good writing abilities. A technical writer should be able to create technical material in a concise and effective way. For a technical writer to present information in the most appropriate manner, he/she should first be aware of the target audience and the goal of the document. For example, a user manual for java JDK software will require minimum technical information as the audience here would have more technical knowledge when compared to audience for a user manual of a television, which is written for general public. Documents can be printed or posted online, but before doing that they should follow some similar guidelines, layout and structure in giving information to maintain professionalism in a consistent manner. A good technical document should follow many formal standards or guidelines. Technical documentation will have various styles and formats to choose from. These are usually chosen depending on the medium it is used and subject area it has to cover. Generally, technical writers follow formatting conventions described in a standard style guide. The two most used style guides being MSTP (Manual of Style for Technical Publication) and CMS (Chicago Manual of Style). There are also many tools used by technical writers to make a document more appealing and also professional. The tools are necessary to create or customize both text and visual graphics in the document. Analyzing the audience for whom the document is been created. Collecting all the required information of a product that is been documented. Coming up with a project plan and a document layout to give a structure for the document. Proof reading the document created to make sure there are no typographical errors, such as errors in grammar or spelling. Sending the document for detailed final review from subject matter experts or the technical team. On acceptance of the document there is a sign-off mail sent by the reviewed team confirming the successful completion of document creation. Though in some smaller organizations the developers themselves try and create technical documentation, their lack of writing skills are clearly displayed with inconsistent document structure and improper format. To create a good technical documentation it requires more knowledge about writing format other than just having a good command over language, which a technical writer is trained to possess. Documents that are created with proper documentation knowledge confirm proper use of styles and accuracy in both technicality and writing.